The story has begun from the well known AT&T’s Bell Laboratories in the early 1960 ’s. At that time AT&T needed an operating system for their computer center because there was running various batch jobs .The BESYS operating system was created for at Bell Labs to deal with these needs. so at the year of 1965 Bell Labs was adopting third generation computer equipment and decided to join with General Electric and MIT to create a Multics (Multiplexed information and Computer service).But at the year of 1969 they made a change that ,to withdraw from Multics and go with GECOS. The UNIX operating system was first developed in Assembly language but , by the year of 1973 it had been almost entirely recoded in C. The first edition of the UNIX Programmers Manual includes over 60 commands like : b , boot , cat , chdir , chmod , cp , ls , mv etc. Second edition of UNIX was released in 1972.But now you all know that it has been split in to various branches developed by AT&T for various commercial purposes. AT&T made UNIX available to Universities and commercial firms as well as the United States government, under licenses. The licenses include all source code including the machine dependent parts of the kernel. The copies of the UNIX kernel sources circulated widely in late 1970s in the form of much copied Book by John lions of the University of new south Wales. Intel created the first commercially available microprocessor (Intel 4004) in 1971, and one of the first microcomputers in 1972.They emerged from versions to versions like 80386.80486,80586 etc. Pentium i.e Intel 80586 was introduced in 1993.They mainly focused on making it useful for the ordinary people. This move of AT&T , that to commercialize UNIX system v .actually killed UNIX. The Free Software Foundation (FSF) was founded the same year by Richard Stallman. Richard Mathew Satallman (rms),was against the U.S Copy write Act ,i.e restricting the unlicensed access to the software. 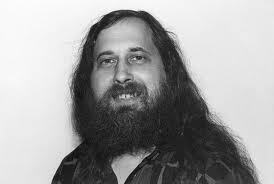 Stallman proclaimed it and argued that it is blocking the user’s freedom to use it.In 1984 he quit his job from MIT to work full time on GNU project. The main intention behind GNU Project is to create free Unix-like operating system. With the launch of the GNU Project he founded the Free Software Foundation(FSF). Stallman popularize the concept of Copyleft ,a legal mechanism to protect the modification and redistribution rights for free software. In 1989 the first program independent GNU General Public License (GPL) was released. The GNU system was almost completed by then,he was contributing many naccessary features like Text editor (Emacs), Compiler (GCC) , Debugger (gdb).But one important thing was missing , i.e Kernel. The GNU kernel ,called Hurd ,failed to attract enough attention from developers leaving GNU incomplete. Linus Torwalds donated the kernel.The existing programs for the GNU projects were ported to run in the new platform. and then formed the GNU/LINUX projects. When he was studied at Helsinki, he began a project that later becomes the Linux kernel.The main intention behind the project was to write a program specifically for the hardware that he was using and that should function independent of an operating system. 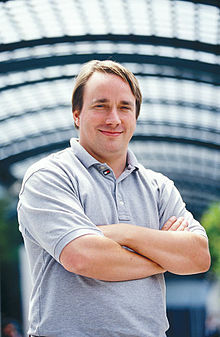 He made it successful,and the first version of Linux has released.He first published the Linux kernel under its own license, but later licensed under GNU General Public License(GPL). In the first release of Linux 0.01 Torwalds lists the GNU software that is required to run Linux. Now Linux has many versions and distributions,and proves itself as one of the worthy opponent to Windows giants.Many IT industries are now started to use Linux as a better alternative.